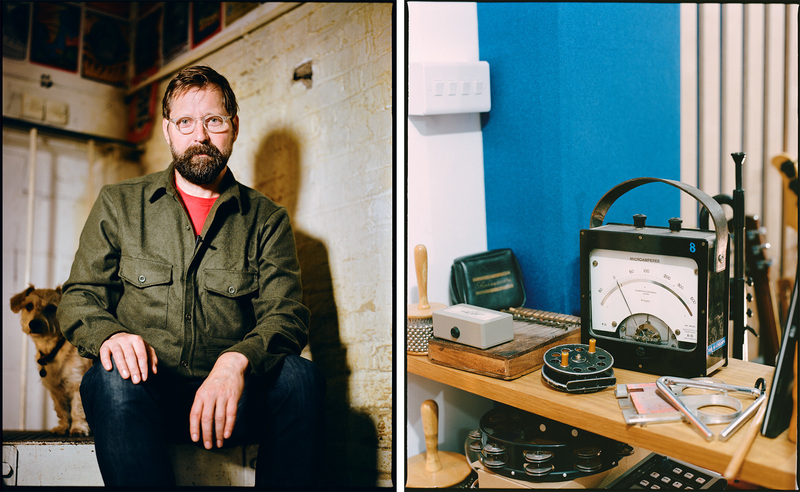 The second collection of unique, strange and inspiring instruments created by our favourite British sound designer and composer Pendle Poucher — lover of weird and wonderful noises, and brainchild behind innovative boutique Brighton-based sample library company, Sound Dust. 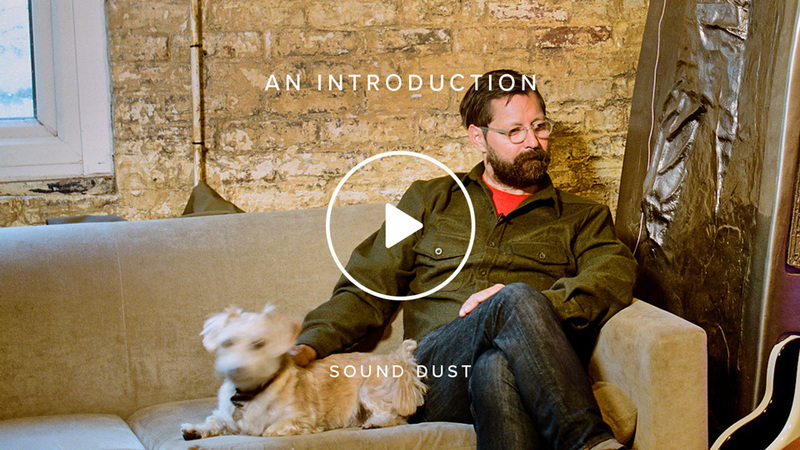 Like Spitfire, Sound Dust was created by a composer for composers, producers and music makers. In Sound Dust Vol. 2, discover a diverse selection of five of their latest, most exciting instruments — from hip-hop beats to broken violas and rare distorted pianos — as you’ve never heard them before. Truly expressive, intuitive leftfield sounds that will spark your imagination. 3.8 GB download size Too large to download? Choose hard drive delivery at checkout. 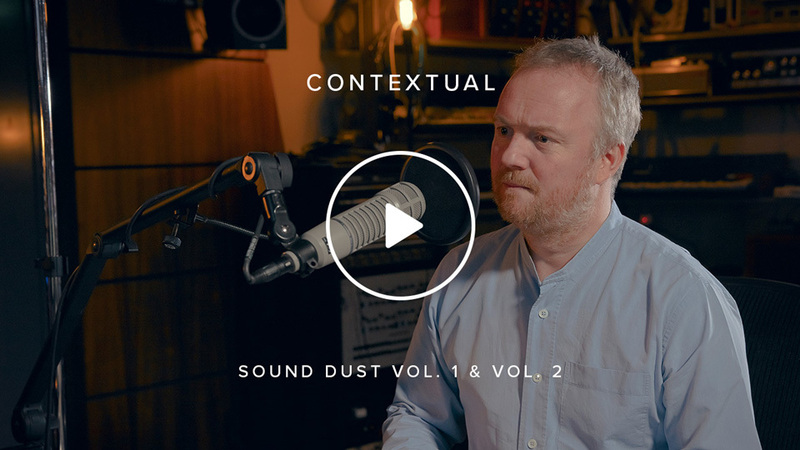 Volume 2 contains five of Sound Dust’s most recent hybrid creations — a collection of unique oddities and eccentricities richly sampled with Pendle's innovative recording processes and obsessive attention to detail. 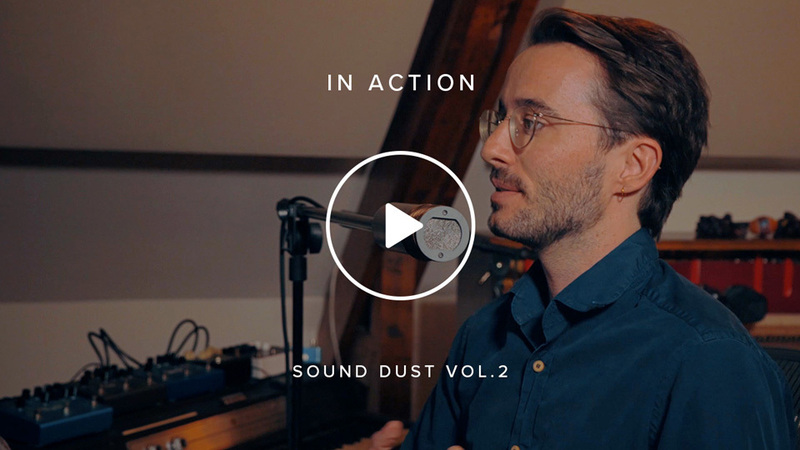 All five instruments are packaged together in a simple, single download — an amazing way to venture into the world of Sound Dust. So intuitive is this collection of instruments that as soon as you start moving around buttons and faders, magical things start to happen. Made using existing Sound Dust instruments with added effects and parameters, the flutter engine jumps into different instruments at different positions, with different loop lengths. 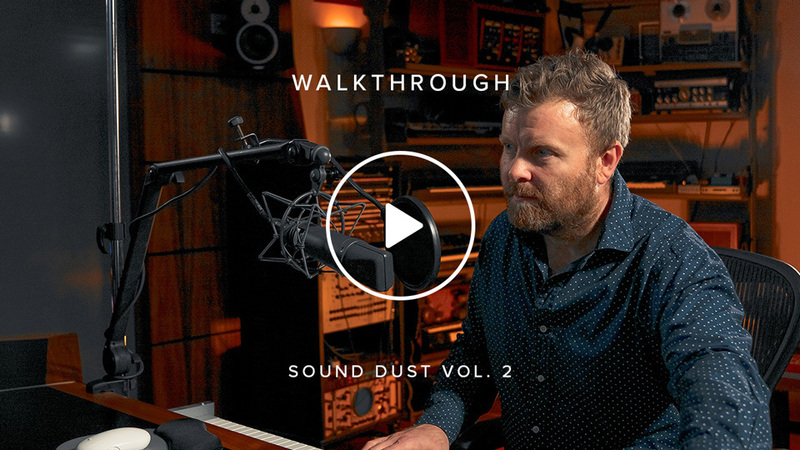 Like a Mellotron, Flutter Dust Module is based on recordings of acoustic instruments, but with extra functionality, taking you to places the tape-based Mellotron could only ever dream of. Taking its name from the time funnel in Kurt Vonnegut’s excellent time leaping novel, Sirens of Titan, Infundibulum is a multi-arp workstation and three-part sequencing machine, Infundibulum offers you a playground of polyrhythmic possibilities with perfect for creating unusual textures, rhythmic textures like ostinatums and interesting cross-rhythms, and different types of sequencing. Three different arpeggiators that go at different speeds and lengths, featuring chimy piano sounds for an instant Steve Reich effect. OddHop is part of a modular chaos engine - imagine a 303 and a 909 drum machine fused together, with additional quirky percussion machines for disappearing down a rhythmic rabbit-hole. Packed with hundreds of original acoustic and electronic sounds arranged into five octaves of one shot kicks, as well as pre-programmed vocal samples, pianos and basses. You’re literally never sure what you’re going to get. Built from a total of six sampled source instruments to create something entirely new, the instruments are arranged left to right across the main panel — two Danelectro baritone guitars, two Fernandez infinite guitars with Sustainiac pickups and built in EBows, a Spring viola, hardwired through a Roland space echo, creating an endless pad. Seamlessly merging organic and electronic elements, it creates sounds reminiscent of Twin Peaks, Radiohead, and orchestral haze. Made out of a selection of three characterful pianos — a ships piano, a ‘school hall’ grand, recorded binaurally in a Hogwarts-style school chapel, and a deviously altered home upright, reversed, fed into high end reverb and reversed again for a backwards attack effect. With a multitude of effects, including ADSRs, high and low pass filters, vibrato and convolution reverb, you can cunningly combine different aspects of each piano to create impossible sounding piano hybrids. This gives you a beautiful, incredibly expressive selection of piano sounds.